The German was without the services of Kieffer Moore, Cameron McGeehan and Jacob Brown for the visit of Stanley. Striker Moore, who has netted 18 goals this term, will miss the rest of the season through injury while midfielder McGeehan and winger Brown are banned for three matches. But the Reds coped admirably without the trio, extending their lead over third-placed Sunderland to four points following Dimitri Cavare's strike and a Will Wood own goal. 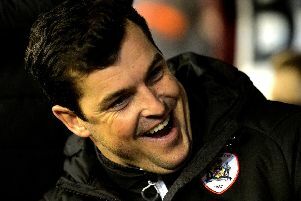 The win also extended Barnsley's unbeaten streak to 16 League One matches, leaving them well placed to secure an immediate return to the Championship. Stendel said: “I thought we controlled the game for the most of the time. “It was not our best performance but we deserved to win. I’m very proud of the team. It’s a good win. “I was a little bit surprised, really (to see Cavare score). It was a good pass from Cauley (Woodrow) and Dimi scored an important goal for us. “It’s not so easy to win against Accrington, especially in our situation, missing three important players. "It was the first game for Jordan Green in the starting XI and I think you can see he was a little bit nervous." Sunderland failed to fully keep the pressure on the Tykes after relying on a last-gasp goal to secure a draw at Wycombe. 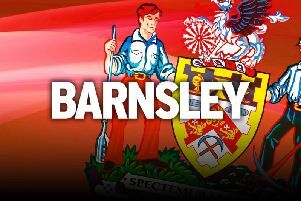 That result has left Barnsley's fate in their own hands, especially considering the Black Cats are the visitors to Oakwell on Tuesday night. The Reds suffered a 4-2 defeat in the first fixture at the Stadium of Light in November, but Stendel is confident his players can gain revenge at a place where they are unbeaten this campaign. “We cannot influence the other results. You can only say it’s good for us when we win our own games," Stendel said.